The United States ended the first day of the Davis Cup quarterfinals with a commanding 2-0 lead over Belgium, thanks to a pair of victories from John Isner and Sam Querrey, Friday in the Curb Event Center. A straight sets win for world-ranked No. 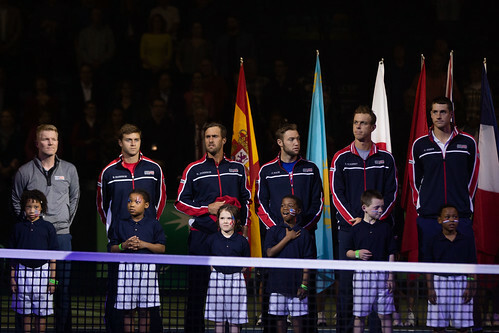 14 Querrey helped push the Americans to 2-0 against Belgium’s Ruben Bemelmans. Earlier in the day, Isner battled it out through four sets against Joris De Loore, giving the American team its first match of the day. The Americans will face Belgium in a doubles match Saturday starting at 4 p.m.. Photos from Carina Eudy and Caitlin Alexander.